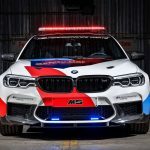 Just like in the case of its predecessors the M2 and M4, the BMW M5 F90 MotoGP Safety Car is far from a stock BMW with just a cool livery. 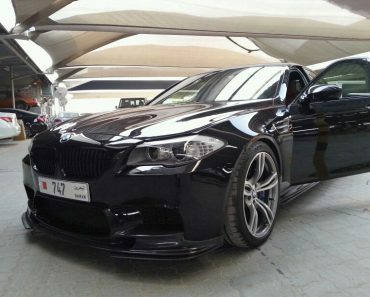 It is in fact another example of BMW performance taken to the next limit. 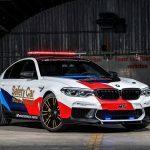 Apart from the interesting livery applied to the vehicle the BMW M5 F90 MotoGP Safety Car features a suite of exterior modifications. 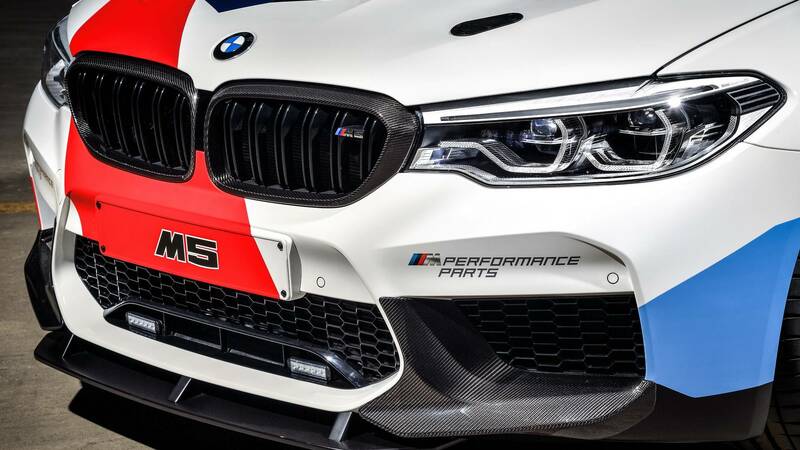 One such immediately noticeable addition is the front carbon fiber addition to the bumper. 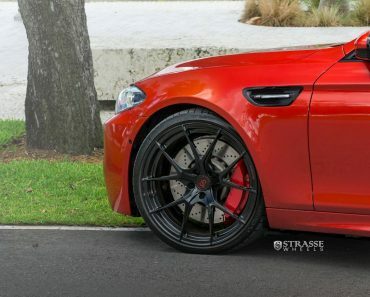 The iconic kidney grills are also made out of carbon fiber on this particular variant of the BMW M5 F90, giving it an overall sporty and aggressive look. 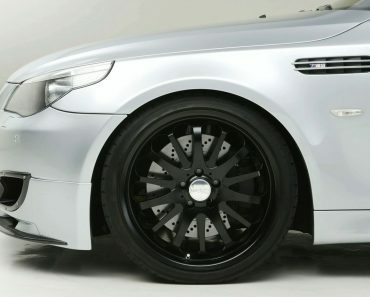 The rims complete the package by further adding to the overall sharp aspect of the car. 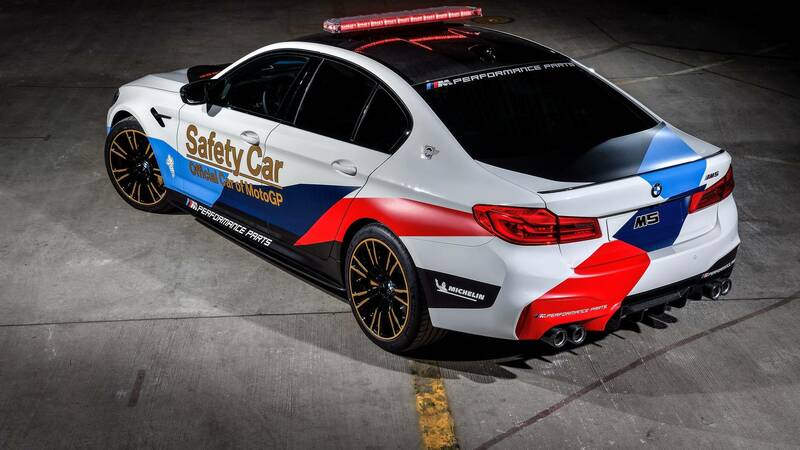 According to BMW this particular safety car is modeled after the M8 GTE, one of BMW’s next year debut vehicles. 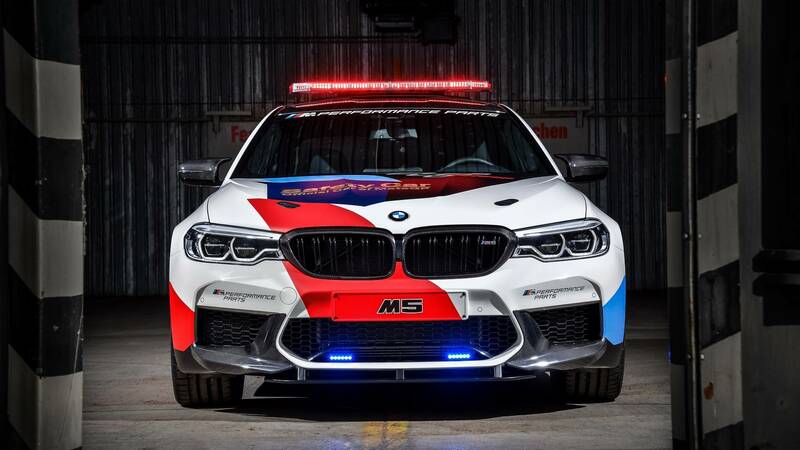 The addition of flashing lights as normal as it seems, complements the car’s design by making it look official, as if it was a police vehicle. 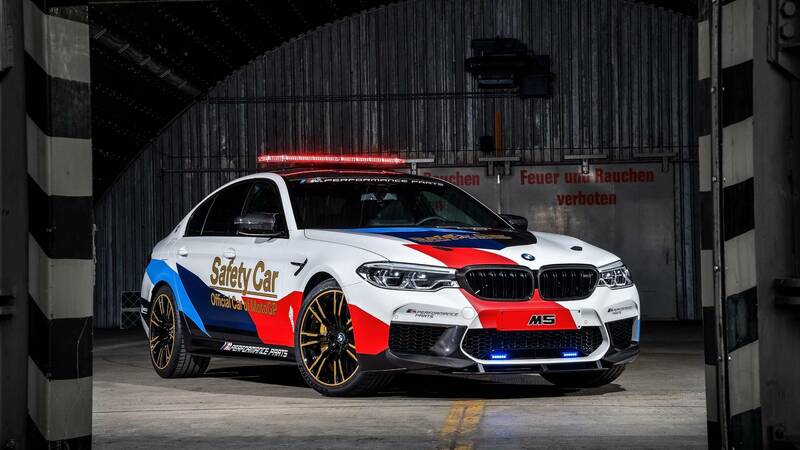 Another interesting fact is that this particular BMW M5 F90 is the first safety car provided by the manufacturer to feature the all new M xDrive technology, the main idea here being that the driver can send all the engine’s power to the rear wheels at a simple push of a button. 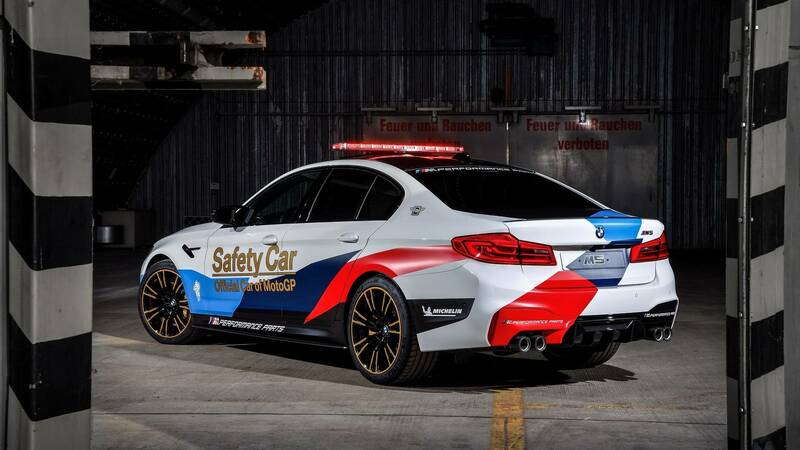 How the car will benefit from this, in the line of work it is made to operate, is something we will all have to see. 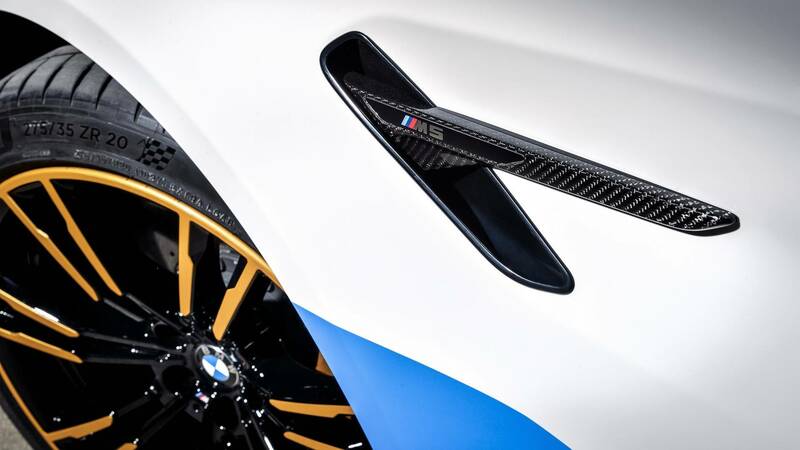 The engine has also suffered several upgrades. 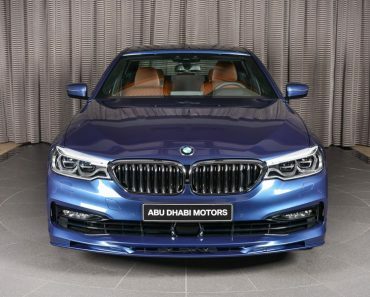 With its 4.4 liter bi-turbo V8 engine, this car packs more than a punch. 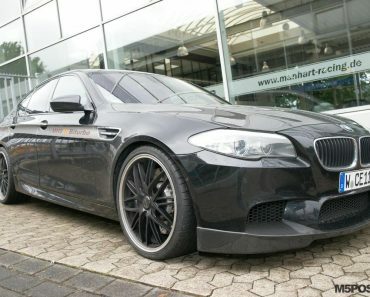 In fact, it seems powerful enough to race on the MotoGP track. 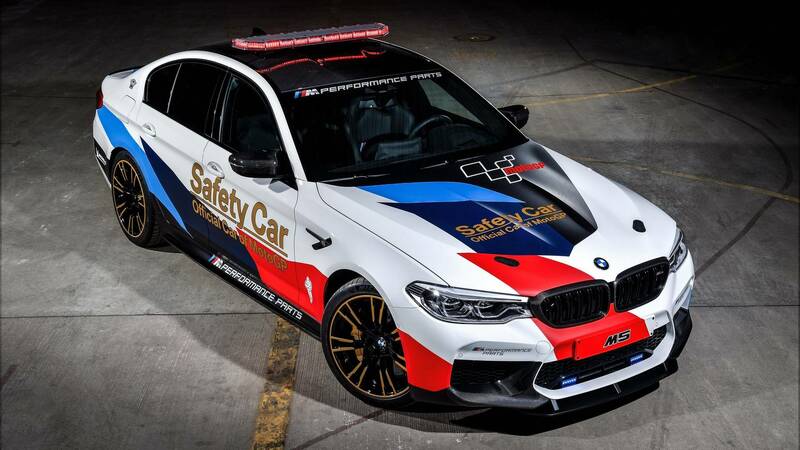 It’s a shame this car is destined to be used as a safety car, actually. 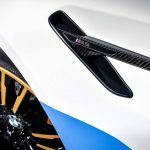 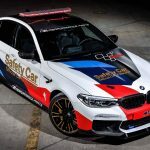 One thing that should be noted is that the BMW F90 M5 MotoGP Safety Car’s hood has been fitted with latches. 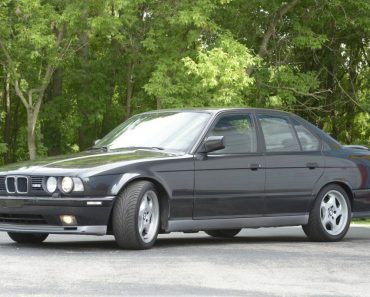 This alone is an indicator of just how powerful the engine in this vehicle is. 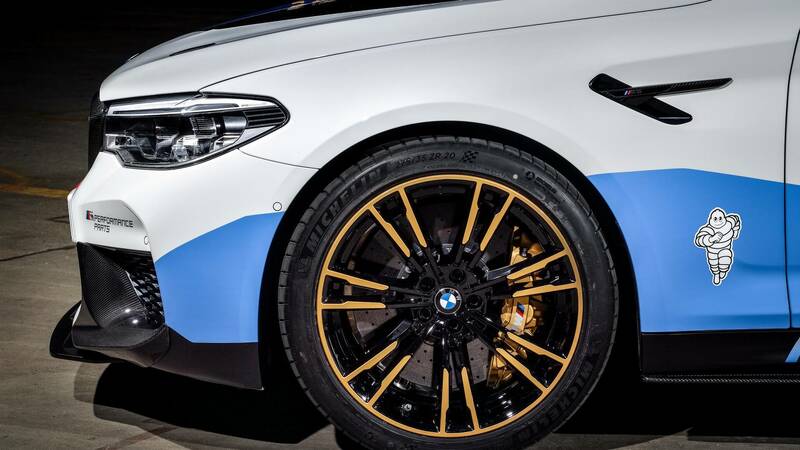 The interior of the car while not as interesting has its own hidden gems. 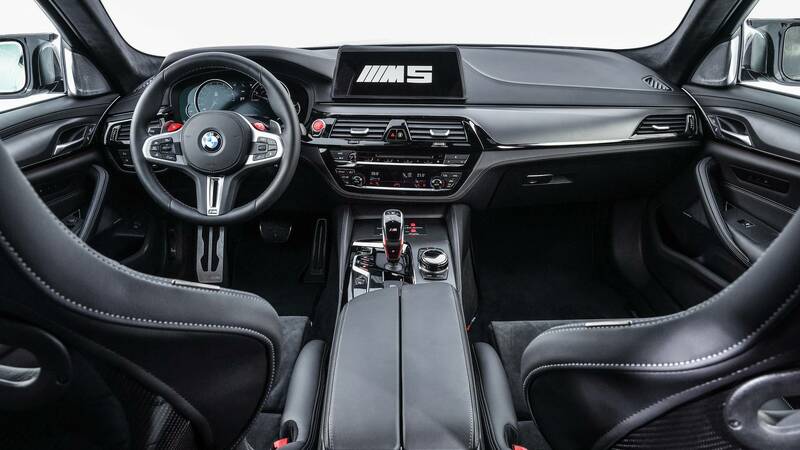 The M4 looking bucket seats are exactly that. 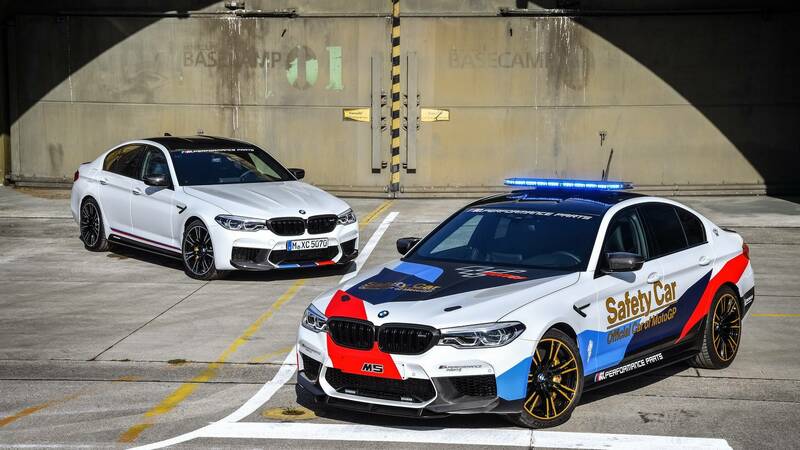 Seen from outside, the seats make this BMW seem, once again, like a race car rather than a safety car used in MotoGP tournaments. 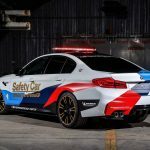 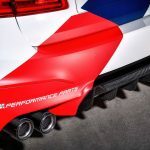 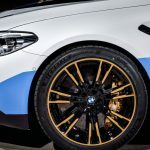 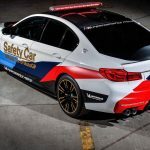 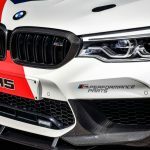 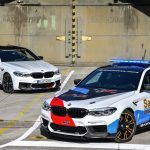 It is clear that in this case BMW attempted to create more than just a simple safety car, but rather a beefy and sporty ride to showcase at such events.